Fingal Express is the privately owned, premium coach service from Skerries, Rush and Lusk to Dublin City Centre and UCD. 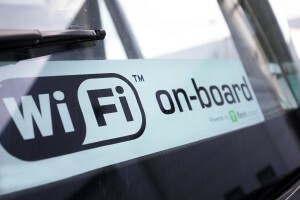 A division of Eirebus, Fingal Express operates daily peak time services using fully seated deluxe coaches with no standees, reclining seats, air conditioning, complimentary Wi-Fi, fast journey times and a high level of customer service. Our deluxe coaches are equipped with recliner seating, climate control, complimentary on-board Wi-Fi and safety belts fitted to every seat. 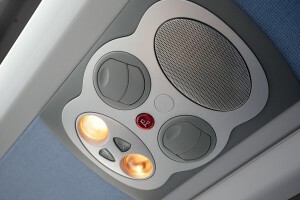 Overhead soft lighting, reading lamps, directional air conditioning nozzles, baggage shelves and skylights are standard and all Fingal Express coaches have been retrofitted with Bluetree fuel usage monitoring and driver profiling to ensure a minimum fuel burn and a reduced carbon footprint. Amber LED destination display units are fitted on front of coaches showing route number and final destination. 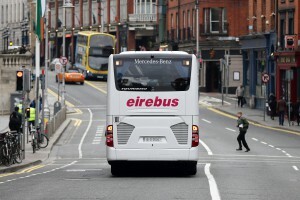 Fingal Express is owned and operated by Eirebus – Dublin’s leading coach operator, with 45 years’ experience providing top quality transport solutions, including the multi-award winning Swords Express service. 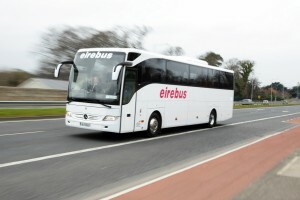 Eirebus owns and operates a fleet of 50 deluxe coaches ranging in size from 16-53 seats and all vehicles are rigorously maintained at its state of the art headquarters located close to Dublin Airport. Eirebus is a member of the Irish Tour Operators Association (ITOA), the Coach Tourism Transport Council (CTTC) and Dublin Convention Bureau (DCB). It is also an International Quality ISO 9001:2000 company.